With the warm weather of summer upon us, many states and municipalities are taking advantage of these higher temperatures to get more highway repairs and road construction projects underway/finished up. What this means for many motorists is that they are likely to run across at least one (or a few) highway work zones during their routine commutes or other roadway travels over the course of the next few months. Because highway work zones can complicate driving conditions – and given that you are likely to run across at least a few this summer, below, we’ll point out some important facts to know about the collisions that happen at and around these zones. 1 – Highway work zone car accidents happen more often that you may realize. These important facts about highway work zone car accidents can help you reduce your risk of these accidents this summer, a Portland car accident lawyer explains. Contact us if you’ve been hurt in a traffic accident. Every day in the U.S., about 110 people are hurt in highway work zone car accidents. This breaks down to about one of these injuries being sustained in the nation every 13 or so minutes. Daily, there are at least two deaths caused by highway work zone car accidents. Over the past five years, more than 200,000 people have been injured in highway work zone car accidents, and at least 4,700 others have been killed as a result of these collisions. 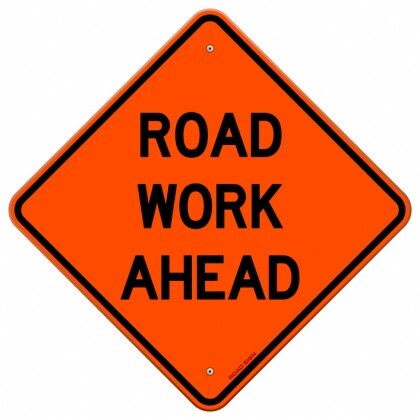 Although highway work zone car accidents can occur at any time, approximately 70 percent of these collisions occur between 8pm and 5am. 2 – In about 5 out of every 6 highway work zone car accidents, the motorists – not the highway workers – are those who are injured. One of the reasons for this could be due to the fact that the vast majority of these accidents occurs during the evening/early morning hours when highway workers are typically not operating work zones. 3 – There are ways to reduce your risk of highway work zone car accidents. Never drive drunk or distracted – You need to be fully alert to the changing driving conditions around highway work zones. Always comply with traffic laws, and go slower around work zones. Always wear your seatbelt and drive defensively. If you or a loved one has been hurt in a car accident – or any type of traffic accident, you can rely on a seasoned Portland car accident lawyer at the Savage Law Firm for experienced help with your financial recovery. For more than three decades, our lawyers have been devoted to providing each of our clients with personal attention, respect and the highest quality legal services.